Love it! What fun!!! 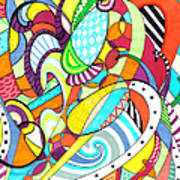 L & F.
A whimsical pen and ink abstract drawing full of bright colors and pattern. 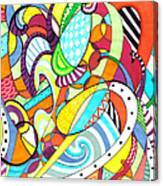 Vibrant colors fill the wild array of shapes and flowing lines accented by touches of black and white. 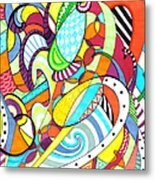 I hadn't labeled this work in my mind as a representation of anything in particular, just a fun exercise, but when it was done it screamed "Carnival". 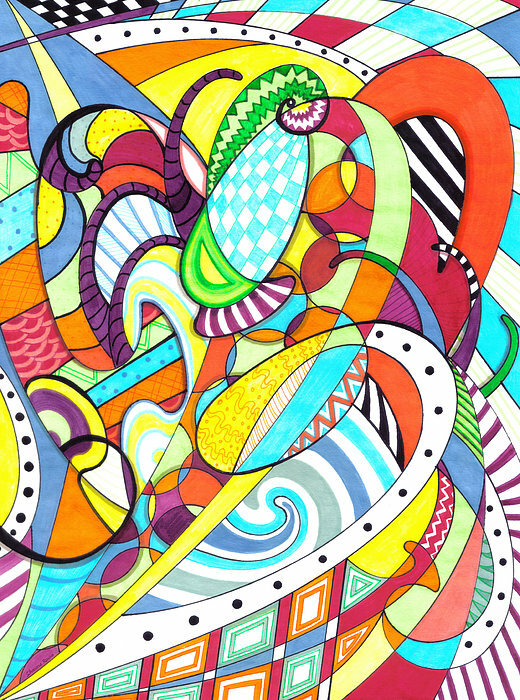 Sharpies and markers on paper.